How to set up filters and sorting of products on listings? 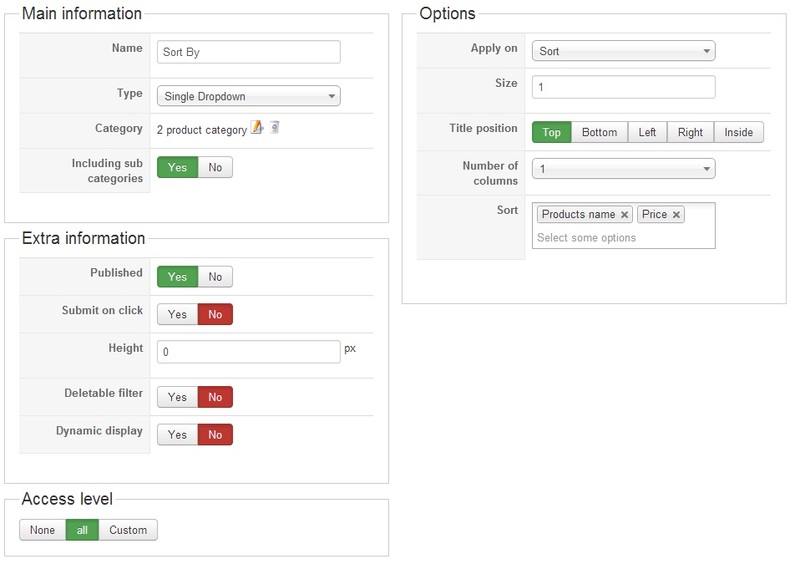 In HikaShop, you will be able to manage filters for the customer products listing. Filters are only available in the Business edition of HikaShop. Go to Display => Filters to see filters. 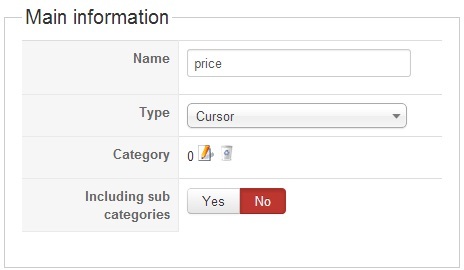 You can find additional options for filters display in the Display tab of the configuration of HikaShop. To display your filters, you have to make sure your module/listing has the “filters” display option set to Yes. 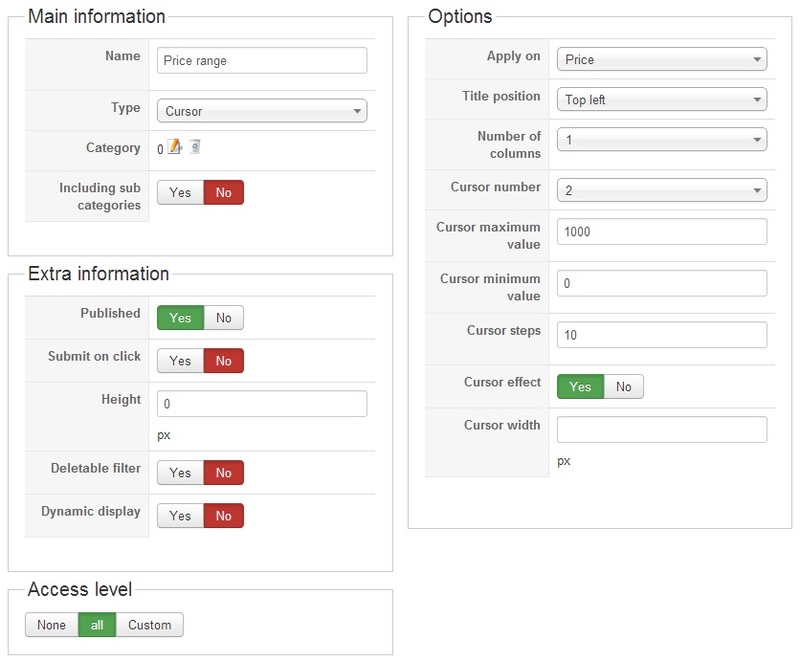 You can also display your filters as a module by configuring the HikaShop Filter module via the joomla module manager. In your filter module, set the id of a HikaShop category listing menu (you need to create that menu beforehand) in the menu option. If you want to hide the filters at the top of the products listing, turn off the “filters” display option of your products listing menu item on the options page of your menu item that you can find via the Joomla menu manager when you edit the menu item. Save & Close : Click this button to save the filter and return to the filters Management screen. Save : Click this buton when you modify the filter and stay on the same screen. Cancel : Click this button if you return to the previous screen without saving the modifications. Name : Enter the name of your filter. Category : Select the category where you want the filter to applies. If no category is selected, the filter will always be displayed on products listings. Including sub categories : If you have sub categories inside the category you selected in the previous option, if you set this option to YES, it will allow the filter to also be displayed when displaying products in sub categories of that category. Published : If a filter is published it means that it will be used by the system. Display limited to : You can select another filter and the corresponding values for which you would like the current filter to be displayed. Submit on click : If you set this option to YES, you don’t need to click on the “Filter” button. 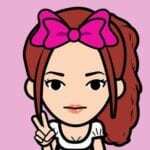 The filter will be applied automatically on click. Deletable filter : If you set this option to YES, when a filter has been used, there is a delete icon next to it in order to cancel the filter. Dynamic display : By setting this option to YES, it will allow you to change the options of the filters according to the previously selected filters. 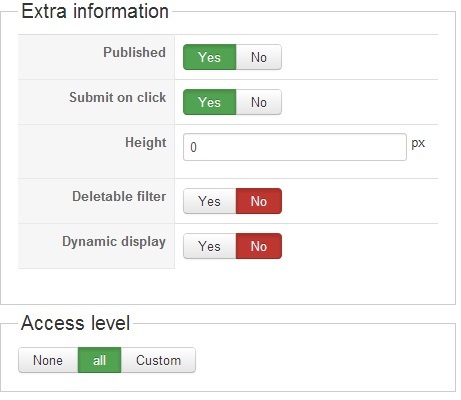 Apply on : Choose the type of information managed by your filter. Number of columns : Choose the size (width) of each filter. It can be used for cursors to be more precise while setting an interval. 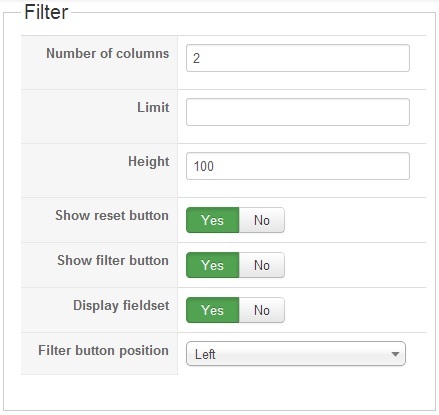 Number of columns : Set the number of columns for your filters. Limit : Define the number of filters shown. Height : Define the height of each row of filters. Show filter button : If you set this option to No, the “Filter” button will not be visible. In that case, you should activate the option “Submit on click” on the different filters you created, otherwise the filters won’t do anything. Show reset button : Set this option to Yes to display a reset button emptying all filters. Filter button position : Set the position of the filter button, you can place it on the left or right of the filters, or next to the last field with the option “Inside”. Text : If you choose this option, it will display a text field. Apply on: Define on which field the search will be done. Note that filters on price won’t search for variants’ price. Maximum length : Define a maximum length for the typed expression. Sort : If you chose the “sort” option in “apply on”, this field will allow you to pick up the data on which the sort have to be done. Since it’s a multiselect, you can pick “price” and “weight” if you want to display “ascending price”, “ascending weight”, “descending price”, “descending weight”. 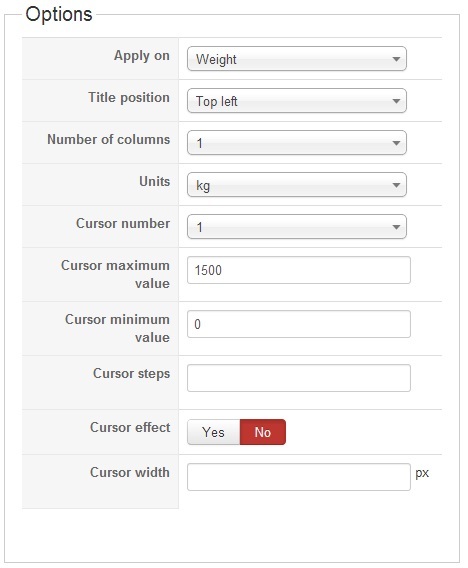 Cursor width : Define the exact width of the cursor bar. In stock Checkbox : Display a simple checkbox. If you check this box, only in stock product will be displayed. Here we have a small tutorial on how to create a filter which display a cursor of prices next to a dropdown allowing to sort by price and name. It will display a Jquery cursor allowing user to define a range of price for the product displayed, including discounted products. The filter will be applied on price since it’s the selected option and we set a maximum and minimum value for it. You can notice that cursor effect is activated to give a smooth scroll when you click on the cursor bar. It will display a sort dropdown where you’ll be able to choose between “price ascending”, “price descending”, “name ascending” and “name descending”. You can see that the sort field allow you to add as much data as you want. Two new entries will be displayed for each data.